Perhaps the most important aspect of a successful corporate shoot is the videographer who shows up to gather the footage and record the audio. All of the planning that the production company does before the shoot, all of the paperwork, all of the client’s time and planning, and all of the effort that an editor goes through to create a finished video are meaningless if the video quality isn’t good or the audio sounds distorted and poor. Selecting the right videographer for a job is not as simple as just finding “the best” shooter, but rather finding the perfect fit for the budget level and for the project, which is where a knowledgable corporate video production company shows its value. The first consideration for selecting a videographer should be their creative eye and their diverse set of skills. Can the videographer manage a nice variety and balance of pans, tilts, zooms, slides, and perhaps handheld work that looks professional with smooth motion? Does the videographer have a great eye for framing and focusing his attention on the most visually interesting aspects of a location and its subjects? Do the interviews sound crisp, clear, and look well framed? A great videographer is able to deliver visually interesting footage of almost any location, regardless of what they are shooting. By contrast, an unimaginative shooter will plop the tripod down at random, press record, and be satisfied with mediocre results. Never hire someone whose work doesn’t grab your attention immediately. 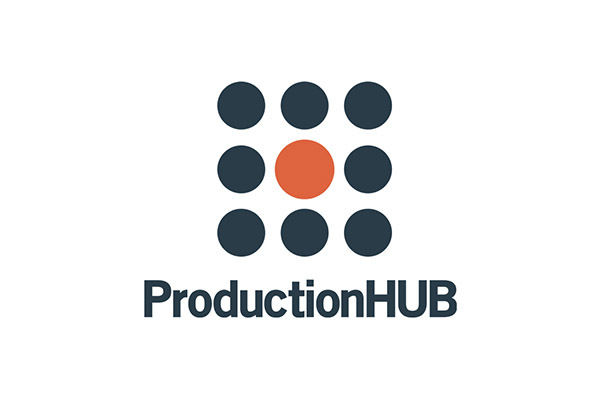 After watching thousands upon thousands of reels and work samples, a professional producer can identify quality work within thirty seconds or fewer. The second consideration that is critical for selecting a high quality professional videographer or cinematographer is gear. While a great videographer could make even iPhone-shot video interesting, they still should be working with relatively modern equipment. Tape based cameras like MiniDV and HDV formats are far out of date for a professional videographer, especially after the DSLR revolution where full HD footage is shot to small Compact Flash and SD cards. Tapes are cumbersome and add a lot of time to the editing process, not to mention the video quality is poor by comparison. Any videographer who regularly shoots events, weddings, corporate videos, and small, local commercials should have a full ENG package, which means Electronic News Gathering package. A good ENG package usually balances quality with efficiency so that a videographer can handle the needs of a small production without a fully staffed crew, which usually means having a basic lighting kit for interviews, some form of professional audio gear (lavaliere or boom microphones with an external hard drive backup for recorded audio), and a solid tripod with an HD camera. The third consideration for hiring a videographer is their temperament and expectations for production work, which has nothing to do with skills or talent, merely preference and experience. A small market videographer often has no choice but to shoot every variety of production work that comes his way, so he likely will have the required gear, the do-it-yourself mentality, and the humility to work on a small business friendly budget. By contrast, a large market videographer may shun even the term “videographer” and prefer to be called a cinematographer or director of photography. To be sure, there is a difference in meaning between the terms, but the average small business just knows they want a great looking video. A lot of the best cinematographers not only have no experience with audio gear or equipment, but are not even accustomed to setting up equipment such as lights or dollies or other grip equipment. They have ascended to the level where they handle only the direction of a larger film crew and work with the crew to obtain cinematic quality lighting on larger productions, which is what earns them the title “Director of Photography.” For corporate work, avoiding the higher end cinematographers is almost essential because their rates are too high, their crew needs too great, and their egos too big for the type of run-and-gun, low budget work that is perfectly sufficient for many businesses creating Web videos and local television ads. An additional consideration that runs parallel to the type of videographer you are selecting is their primary production experience, whether it leans more towards events or more towards narrative work. The ideal corporate videographer has experience in both worlds, recording footage for fast-paced, higher stress events where every moment counts and narrative work where the staging and setup leads to more opportunity for the perfect shot. Even with careful planning and great preparation, corporate video productions require flexibility from videographers to gather ideal footage, which means being able to plan for the best, but prepare for the worst. If one part of the schedule falls through, the videographer needs to be able to think quickly and come up with alternate shot suggestions. At the same time, a videographer who is able to follow a schedule and work within the confines of the production is also valuable. While the suggestions above hopefully provide a few useful pieces of advice in hiring a corporate videographer, the best way to assure a quality production is to work with an established corporate video production company to handle the hassles from pre-production through post-production. Aside from avoiding a lot of headaches, companies like JLB Media Productions have a network of skilled videographers throughout the United States, which takes the guessing and chance out of the process. Combing through the amateurs, hobbyists, and professionals with poor attitudes is a time-consuming, involved process that is best left to an experienced producer who knows what to look for in a videographer. As a national video production company, we pride ourselves on a great network of professionals who can make any corporate video shine.